Julia Tutwiler's fame came from her devotion, interest, and untiring work in education, prison reform, and writing. She was probably the best educated woman of her time in the state because her devoted father saw that she studied in the first class at Vassar, in Germany and Paris, and under professors at Washington and Lee University in Virginia. As President of Livingston State Normal School, she gained the title of "Mother of Co-Education in Alabama" because she forced the entry of ten girls to the University of Alabama, assuring herself first that they were qualified. Later, she was instrumental in establishing what is today the University of Montevallo. This same outstanding woman became known as "Angel of the Prisons." She almost single-handedly brought about the separation of hardened criminals from small offenders and reform in the convict leasing system of prisons to privately owned mines. Julia Tutwiler Woman's Prison is named for her, and she was instrumental in establishing the first Boys' Industrial School. "Little, little can I give thee. All I have, and am are thine." These words written by Miss Tutwiler were part of what later became the Alabama state song. She gave the "little--hand, brain, spirit" and left behind her numerous evidences of her work to build a better state. She was among the first group of women elected to the Alabama Women's Hall of Fame, established at Judson College in Marion in 1970. Alabamas Builders of History. Alabama Sunday Magazine, 24 March 1968. The Brilliant Career of Miss Tutwiler of Alabama. Birmingham Age-Herald, 13 December 1898. Bynum, Rusty. Julia Tutwiler: the Pathfinder. Huntsville: Writers Consortium Books, 1989. Curb, Randall, ed. Havana, Alabama: A Brief History. In Historic Hale County. Preservation Committee of the Alabama Reunion, 1989. Hawkins, Bob. Space for Miss Julias Girls. Birmingham News, 9 August 1967. Livingston, Alabama. Julia Tutwiler (Livingston University) Library. Julia Tutwiler Collection. Lyon, Ralph M. Julia Tutwiler. Livingston, Alabama: Alabama-Tombigbee Rivers Regional Planning and Development Commission. 1976. McGuire, Colin. Marion Clerk Peyton Tutwiler Is Most Unforgettable Character. Montgomery Advertiser, 3 November 1968. Moore, Eoline Wallace. Intimate View (of Julia Tutwiler). Birmingham Southern Bulletin. 1934. -----. 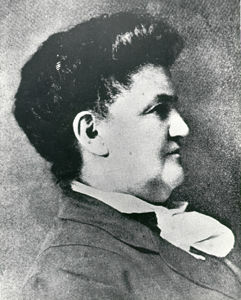 Julia Tutwiler, Teacher. Birmingham: Birmingham-Southern College, 1934. Moore, Albert Burton. History of Alabama and Her People. Chicago: American Historical Society, 1927. Owen, Marie Bankhead. Miss Julia Strudwick Tutwiler; Alabamas Most Eminent Woman Educator." Pannell, Anne Gary and Dorthea E. Wyatt. Julia S. Tutwiler and Social Progress in Alabama. University: University of Alabama Press, 1961. Spotswood, James. Julia Tutwiler: For Boy and Girl, Good and Bad. Birmingham News, 7 August 1966, 23. Walker, Alyce. ServiceThy Name is Woman. Birmingham News, 19 September 1965, 1F.